SlashFilm argues that Disney's plan all along was to release the trailer next year, but decided to give fans a glimpse now to keep the hype train chugging along. Age of Ultron will be released on Friday, May 1, which just so happens to be a few days before "May the Fourth"—a play on words of Han Solo's famous, "May the Force be with you" line. Attaching such a big trailer to an already hugely anticipated film is a no-brainer; the audience crossover is likely gigantic, and should keep moviegoers satiated until Episode VII finally hits next December. While SlashFilm seems certain a trailer for Episode VII will be shown before Age of Ultron, the site is less clear about whether we'll see other teasers (or trailers) in the meantime. Disney has another movie called Into The Woods coming out in three weeks, while you'd expect something to run during the Super Bowl early next year. 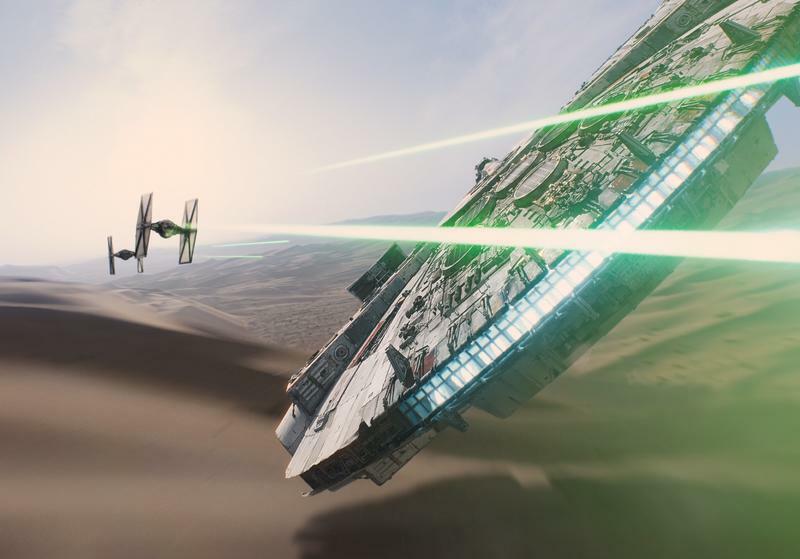 So, yes, we'll get another look at Episode VII at some point. Whether that's three weeks or five months from now is unclear. I really hope it's sooner rather than later, but seeing as the film won't come out until Dec. 18, 2015, something tells me Disney will try and string fans along until Age of Ultron hits theaters in May.